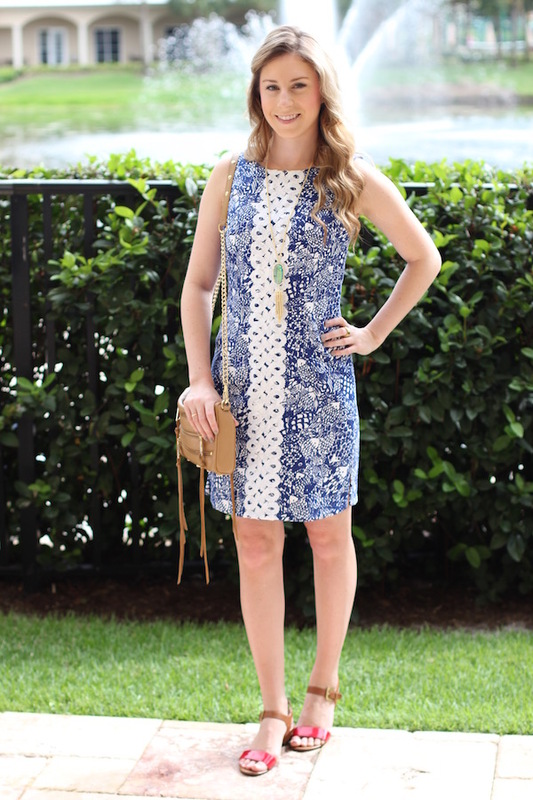 This blue dress with red shoes is about as festive as I got for the 4th of July, and it wasn't even intentional! 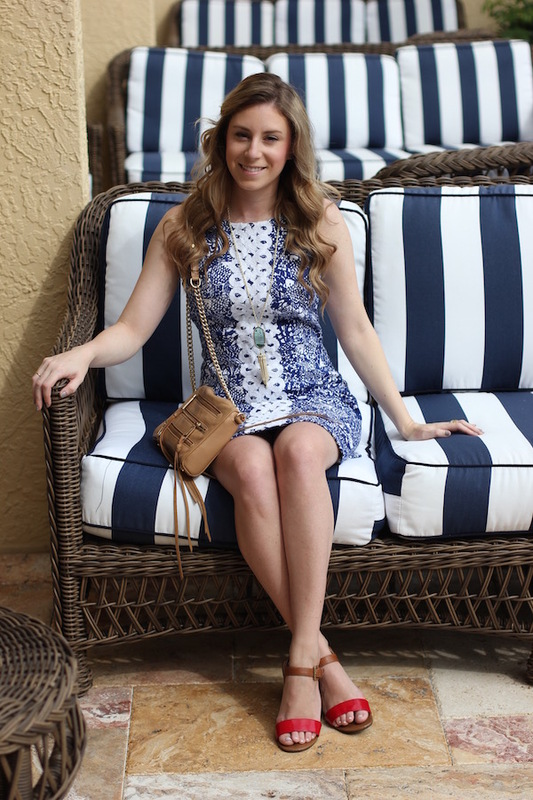 When I packed for my weekend trip to Naples, I tried to grab some dresses from my closet that I don't get to wear very often, and this dress made the cut. I got the dress back from the tailor too late to wear to my friend's wedding in Memphis a few months ago, and since then, I haven't had many occasions for sundresses. If you're thinking of spending July 4th in Naples, FL (I realize this is a year away, but maybe you're a person who plans far in advance...) they set off fireworks at the Naples Pier, and also over in Ft. Myers. I went to dinner at a restaurant called the Turtle Club, and I was able to see the fireworks at the Naples pier as well as over in Ft. Myers, and some people were setting off fireworks right on the beach outside of the restaurant as well. Although we didn't plan it, it ended up being a perfect spot - plus with some tables outside right on the sand, it was a beautiful location to watch the sunset.